Michael J. Broyde is a law professor and Project Director of the Center for the Study of Law and Religion at Emory University’s School of Law. He is also a dayan in the Beth Din of America and was the Founding Rabbi of the Young Israel in Atlanta. This article will appear in unabridged form in the forthcoming Festschrift in honor of the retirement of Professor Bernard Jackson, Chairman of the Jewish Law Association. At the request of the publisher, the footnotes have been deleted in this posted version. Click here to read moreAbstract: This article focuses on the fundamental underlying issue of women receiving aliyot: whether the practice is consistent with the minimal halakha of Torah reading, and if so, how. The article begins with a discussion of the dispute between Maharam and Rashba about aliyot protocol in a city where all of the men are kohanim. The second section discusses the views of the Tur, the Shulhan Arukh, and post-medieval posekim. This article concludes that, though the possibility of women receiving aliyot was disputed among the Rishonim, posekim from the Tur onward are nearly unanimous in insisting that Jewish law prohibits women from receiving aliyot. Over the last few years an innovation has been suggested to Orthodox synagogue ritual: Women should receive aliyot and read Torah as part of the public reading of Torah every Shabbat (in the presence of a minyan of men). Much has been written about this proposal, focusing on many different aspects of it, from the breach of minhag yisrael to the public policy issues, to such concepts as the dignity of the congregation and the dignity of the people, to the rules of modesty of women and the proposed need for public sanction by eminent halakhic authorities for such a dramatic change (footnote removed). This article will not address any of those issues, but will focus instead on the crucial underlying issue which, in this writer’s opinion, has not received sufficient attention – whether this proposed change is consistent with the minimal halakha of Torah reading, independent of any other issues (footnote removed), and if so, how. The article begins with a discussion of the dispute between Maharam and Rashba about a city where all of the men are kohanim. The crux of this dispute rests on two issues: whether or not pegam (stigma) kohen is subjectively or objectively generated, and whether or not women can be oleh as a matter of base-line halakha. The second section of the article discusses the view of Tur, Shulhan Arukh, and post-medieval posekim. This article concludes that, though the possibility of women receiving aliyot (as a matter of hilchot keri’at ha-Torah) was disputed among the Rishonim, posekim from the Tur onward are nearly unanimous in insisting that Jewish law prohibits such aliyot. Anyone may count towards the obligation [footnote removed] as a member of the seven mandatory aliyot [on Shabbat], even a minor, even a woman; but the Sages stated that a woman may not read from the Torah due to the dignity of the community (tzibbur). Relevant as this issue might seem, there is almost no further discussion of this point in the Talmudic sources. Is this assertion that women may not receive aliyot a rabbinic decree, good advice, or something else? There is no further analysis of this Talmudic source at all, and a serious discussion of it waited for the era of the Rishonim to elaborate and codify the halakha on this matter. Exactly such a discussion starts with the famous question of how to allocate aliyot in a city where all the men are kohanim (footnote removed). The Talmudic rule (Gittin 59b) requires that the first aliyah goes to a kohen, the second to a levi, and the remaining five to yisraelim. What does one do when one cannot distribute the aliyot in that manner due to lack of yisraelim? The Talmud (Gittin 59b) indicates that there is a prohibition to give one kohen an aliyah after another one (and one levi after another) as this generates doubt as to whether the first kohen is really a valid kohen – called pegam (stigma) kohen (footnote removed). It is obvious, however, that in a city where all are kohanim, one cannot follow this rule and have a successful Torah reading, as there are only kohanim to receive aliyot. The proper protocol in this case was a dispute among the Rishonim. It appears to me that the [selfsame] kohen receives the first two aliyot, [footnote removed] and after that women should read the Torah, since the Talmud tells us that all can receive aliyot to make up the seven, and the Talmud later recounts that the Sages decreed that a women may not read from the Torah due to the dignity of the congregation – when no other possibility is available, the dignity of the congregation is discarded lest we impute ancestral sin by the kohanim, since if additional kohanim read Torah, people might say that the initial kohanim are children of divorce [and not really kohanim] [footnote removed]. The understanding of halakha upon which his view is predicated seems simple. Since the Talmud does not categorically preclude women from receiving aliyot, in a time of need one may conduct oneself consistent with the initial Talmudic rule that permits aliyot for women and assume that the congregation has waived its dignity. This congregation does not have enough people to give aliyot to, absent the women, thus, it has no choice but to waive its dignity in order to read Torah. This is better than either not reading Torah or calling up only kohanim, which Maharam posits is simply prohibited, based on the Talmudic rule found in Gittin 59b, which prohibits two kohanim from getting aliyot one after another due to pegam kohen. A number of Rishonim agree with this view, including Hagahot Maimoniot and the Mordechai (footnote removed). According to Maharam, there is no objective rabbinic decree flatly prohibiting women from receiving aliyot in all circumstances. Of course, even if the Maharam is correct as a matter of halakha, it is still a leap to allow women to receive aliyot generally, but – it must be conceded – it is a leap that is within the range of possibility. One could confine the Maharam to a case where men could not receive the aliyot, and refuse to analogize cases where men cannot receive aliyot to cases where enough men could (footnote removed). However, it would not be beyond the pale to assert that, given the perceived reality of our society and the sha’at ha-dehak that some see, contemporary conditions give rise to enough of a be-de’avad situation to permit this conduct in a time of need. Such a line of reasoning has been spelled out by many others, and seems possible within the confines of the Maharam (footnote removed). In Chapter ha-Nizakin (Gittin 59b) it appears that one kohen should never receive an aliyah after another kohen, lest it imply that the first or second kohen is invalid, as it states there. In a city where all are kohanim, what should they do?...In a place where all are kohanim or there are not enough yisraelim as needed, one kohen receives an aliyah after another, and there is no stigma (pegam) since they all know that there are only kohanim present, and the second kohen knows that he is reading not because of the stigma of the first kohen, but because there are no yisraelim present. This is true for the third and the fourth and for all of them [footnote removed]. Rashba posits that only male kohanim should get aliyot in a town where all the men are kohanim, and everyone will understand that there is no invalidation of the kohanim in such a case, as there is no choice but to give kohanim all the aliyot (footnote removed). The intellectual basis for the Rashba is apparent. Rashba maintains that the doctrine of pegam kohen has a socially subjective component to it. There is no concern for stigma, and indeed none arises, when all the people in the congregation understand that one kohen is being oleh after another due to the fact that there is no choice as to whom else to give the aliyah. All the people listening to the Torah reading understand why this is happening, and do not think that any of the kohanim are actually invalid, since they know that no other choice is possible. Many Rishonim adopt the view of Rashba (footnote removed), yet the matter remained a dispute among the Rishonim. Although the primary dispute between Rashba and Maharam is about whether pegam to a kohen is objectively determined by the abstract halakha, or subjectively determined by the knowledge of the people at this particular Torah reading, there is an important ancillary question that also needs to be resolved: why does the Rashba not consider the possibility of women receiving aliyot (as the Maharam proposes)? After all, given the presence of women who can receive aliyot (as Maharam claims), maybe the kohanim are in fact stigmatized– as the essence of the stigma, in Rashba’s view, occurs when a kohen receives an aliyah after another kohen when someone else could have (footnote removed). This question is extremely important to the question of women receiving aliyot. According to both Maharam and Rashba, there is an improper stigma imposed on kohanim when a kohen receives an aliyah immediately after another kohen in the presence of a non-kohen who may receive an aliyah. Thus, both Rashba and Maharam agree that it is a violation of halakha to give two kohanim consecutive aliyot: Maharam accepts that this is a rabbinic decree with no exceptions and Rashba accepts that this decree does not apply when no one else in the congregation is eligible to receive an aliyah. Maharam thinks that the presence of women who could be olot obviates the issue of stigma, and thus one must give women aliyot when no other yisraelim are present, as the alternative stigmatizes kohanim in violation of halakha. The intellectual predicate of Maharam’s view is that women may receive aliyot in certain cases. The Rashba maintains that women are generally ineligible to receive aliyot, and the nature of the decree of the Sages prohibiting women from receiving aliyot – even as it is built around the dignity of the congregation – appears in his view to be un-alterable by the reality on the ground. Since women cannot receive aliyot as a matter of halakha according to Rashba, women’s presence in the congregation does not generate pegam to the kohanim, and some other solution must be adopted if Torah reading is to proceed – and that is for one kohen get an aliyah after another (footnote removed). Rashba is not merely positing an alternative solution to the one put forward by Maharam, or even a better solution than Maharam’s while conceding that the Maharam’s also can work. Instead, Rashba’s approach is predicated on the view that the solution put forward by Maharam is untenable, as women cannot receive aliyot as a matter of Jewish law by rabbinic decree (footnote removed). The simple and direct language of the Rashba in this teshuva directly supports the sub-silentio argument that women simply cannot receive aliyot. His phrasing of the issue “in a place where all are kohanim or there are not enough yisraelim to receive the aliyot” seems to simply exclude women from the counting; the same type of language is present in his discussion of the answer, where he states “everyone knows that there are only kohanim present, and a second kohen cannot read because of stigma (pegam), except in a case where there is no yisrael present”. This categorical linguistic exclusion only makes sense if – in fact – women are excluded. According to Rashba, pegam kohen can, however, be generated by presence of minors. Thus, if there were ten kohanim and five minor yisraelim in a city, the minors would certainly have to get the yisrael aliyot, since the Gemara in Megillah 23 allows minors to receive aliyot. Their presence generates stigma (pegam) if two kohanim receive successive aliyot in the presence of these eligible minors – since the kohanim do not have to receive such aliyot, if they do, it is because the first kohen is defective. (Maharam agrees to this as well.) (footnote removed) For Rashba, the presence of women in the congregation cannot create any stigma (pegam) for the kohanim by their presence, such that the kohanim would not be able to receive multiple aliyot. Rashba’s position simply makes no sense if women are ever practically eligible to receive aliyot – pegam is attached to the kohanim exactly by such a person being present. Rabbi Haninah states: A city which is all kohanim (except for one), the single yisrael reads Torah first as such is the way of peace Rabbi Acha and Rabbi Tanhum the son of Rav Hiya states in the name of Rabbi Simlay: A city which is all kohanim, all the kohanim bless the people; to who do they bless? To their brothers in the north and the south. Who answers after the kohanim? The women and children. Thus it is clear that women were present in the synagogue, and were capable of ritual participation in synagogue activity – but yet, Rashba posits (correctly, from the view of the Yerushalmi) that one sees that women cannot receive aliyot, even though they can ritually participate in the priestly blessing (footnote removed). One sees two views in the Rishonim as to what to do when all the congregants in the village are kohanim. A. Maharam maintains that two or more kohanim may never receive consecutive aliyot due to the objectively determined stigma imposed on the first kohen in that case, and others must be oleh. Since women can receive aliyot as a matter of halakha when the tzibbur so directs, when there are no male leviim or yisraelim in the room, women receive aliyot (footnote removed). B. Rashba maintains that multiple kohanim may receive aliyot when not enough eligible yisraelim are present, as stigma is determined subjectively. Women, however, may never get aliyot, as a rabbinic prohibition. Their presence does not generate stigma (pegam) on the kohanim so as to prevent two or more kohanim from receiving sequential aliyot in the presence of women. There is no middle ground between these two views – either women can or cannot receive aliyot. Each answer views the other as wrong – and this is independent of any general dispute about kavod ha-tzibbur in other contexts. One can say with some halakhic confidence that seven hundred years ago, a person living in Northern France or Southern Germany (those areas where the intellectual school of thought of the Maharam dominated) would not be considered a sinner if he or she lived in a village where all the adult men were kohanim and women received aliyot after them, as this school of thought was certainly a reasonable one for a moreh hora’ah to choose at that time. Jewish law is not intellectually static, and disputes can close. The question of the city with only male kohanim is widely discussed in the halakhic literature from the Tur onward, with many different aspects of the matter addressed. However, from the Tur onward, one does not see a single halakhic authority who accepts the view of the Maharam as a matter of Jewish law. The Tur rejects it (footnote removed), as do Bach (footnote removed), and Shulhan Arukh (footnote removed), as does Rama by his silence, and Levush (footnote removed) explicitly. So do the classical commentators on the Shulhan Arukh, including Taz (footnote removed), Magen Avraham (footnote removed), Gra (footnote removed), Birkei Yosef (footnote removed), Mishnah Berurah (footnote removed), and Arukh ha-Shulhan (footnote removed). Maharshal also agrees with the Rashba, as do other super-commentaries writing about normative Jewish law (footnote removed). Indeed, I have seen no authorities after the time of the Shulhan Arukh who adopt the view of the Maharam as correct or even plausible (bar samchi) – not a single one of the classical commentaries printed in the standard Shulhan Arukh even makes mention of the Maharam’s view (footnote removed). The reason why these authorities seem to have rejected the view of Maharam and adopted the view of the Rashba is that the latter view is supported by an explicit statement in the Jerusalem Talmud (Yerushalmi). The Yerushalmi states in the name of Rabbi Haninah that in a city in which there is but one yisrael and the rest are kohanim, the yisrael receives the first aliyah (footnote removed). This ruling can be understood as indicating that the presence of women in the congregation does not count toward creating stigma (pegam), as women can never receive aliyot by rabbinic decree. If the proper solution was that women should receive aliyot, the Jerusalem Talmud would have told us so. So strong is this question from the Yerushalmi on the Maharam, that even the Maharshal, who is generally a staunch defender of the school of thought of Maharam, writes that, “if Maharam had seen the Jerusalem Talmud, he would have retracted his view” (footnote removed). There seems to be no way in which to harmonize the Maharam’s view with that of the Jerusalem Talmud, and it is for that reason that his view is forsaken by halakhic authorities. In the name of Rabbenu Yehuda it is written that in a synagogue in which there are only kohanim, one kohen reads in the place of all seven, and for every aliyah he blesses before and after [footnote removed]. Although his solution is rejected le’halakha (footnote removed), its predicate would seem to be that women are not olot, as he makes no mention of the possibility of women receiving aliyot to solve this problem. Nor should one think that the formulation for the prohibition of women receiving aliyot found in Shulhan Arukh OC 282:2 is at tension with this analysis (footnote removed). That the Shulhan Arukh quotes both the pre and post decree status of halakha is not his typical style, but it is well within the normal linguistic framework of the Shulhan Arukh. Shulhan Arukh frequently introduces contemporary halakha with a framing of issues that requires that he discuss in the code both normative halakha and the halakha that preceded the Talmudic halakha – it certainly implies no acceptance of the view of Maharam (footnote removed). Rama’s formulation is more troubling. Given the fact that Rama quotes the Maharam in the Darkhei Moshe, but chooses not to quote him in the Rama is a fairly clear indication that he too agrees that the halakha does not follow the view of the Maharam (footnote removed). 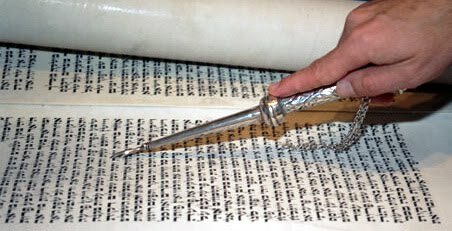 ...What is the rule with regard to reading from a humash [as opposed to a Torah scroll] to fulfill the communal obligation? And we conclude that it is not to be done due to the dignity of the congregation, and it appears that if the community forgives its dignity, it is permitted... [footnote removed]/blockquote>Rashba argues and insists that kavod ha-tzibbur may never be waived and such a Torah may never be used; instead, Torah reading should be cancelled (footnote removed). Many halakhic authorities agree with the ruling of the Maharam in this case, including a teshuvah of Maimonides which permits one to read from such a Torah and recite blessings (footnote removed). It is not without precedent in Jewish law that a community can forgive its dignity generally, and there is quite a literature which shows that many halakhic authorities in many different contexts permitted this. Indeed, the view of the Rambam and Maharam are relied on be-de’vad by no lesser authorities than Arukh ha-Shulhan and Mishnah Berurah (footnote removed). Why do these same halakhic authorities accept the Maharam that dignity of the community can be waived in some cases, but yet understand that the specific decree prohibiting women from reading from the Torah is different in nature than the more general concept of kavod ha-tzibbur? Indeed, these same authorities accept the ruling of Rashba that categorically prohibits women’s aliyot – and this includes schools of thought that are generally very deferential to Maharam. The answer, I suspect, is that the Jerusalem Talmud makes it clear that in a city with only men who are kohanim in residence, women cannot receive aliyot by rabbinic decree, contrary to the ruling of Maharam. Based on this, I suspect that posekim intuited something different about this issue in contrast to other cases of kavod ha-tzibbur. One might be tempted to argue that maybe Rashba’s followers merely have a different balance for women’s aliyot, and that even Rashba’s followers might agree that there could arise a case where women could be olot, as social stigma of kavod ha-tzibbur could be waived. In this theory, all that Rashba is doing is weighting one type of societally dependent stigma more heavily than the other – sort of “it is better to insult some kohanim than insult all men by calling women”, and still argue that women’s aliyot are not categorically precluded. There are three serious flaws with this approach. First, it denies that there is a connection between who can be oleh and generating stigma to kohanim. Maharam is conceptually forced to give women aliyot, as (since he thinks women can sometimes be oleh) their presence must generate pegam to the kohen. Rashba’s followers do not contemplate that possibility since they deny that women can ever be oleh. Since they cannot be oleh ever, no pegam is possible, whereas people who can sometimes be oleh generate pegam (such as a minor in Talmudic times). Second, this socially subjective explanation (the men are choosing not to waive kavod ha-tzibbur, even though they could, even according to Rashba) is centrally missing from Rashba. Many Rishonim believed that kavod ha-tzibbur could be waived in some cases (and they clearly had Maharam in front of them noting that it could be done for women). Yet they do not note that in a city of all kohanim, unless the tzibbur waives its kavod, only kohanim should be oleh, but if the tzibbur waives its kavod, then any can be oleh. The Levush (OC135:13) makes it clear that this view is rejected by later posekim. Finally, if Rashba conceives of pegam kohen to be societally subjective (as he notes), there is no reason to put forward that he or his followers assume that women’s aliyot are also subjective, but still are outweighed by pegam kohen. Rather, it makes sense that he considers women’s aliyot to be objectively assur and that is the way he puts it on a higher level. If they are equal, we have no reason to pick one over the other. It is important to understand that the ruling of the Rashba, that in a village of all kohanim, women are not oleh, but all the kohanim are oleh, is accepted as normative halakha. This is not only held by those posekim who accept the Rashba’s general theory of kavod ha-tzibbur as un-waivable, but also by those who generally argue with his theory, and accept that kavod ha-tzibbur can be waived in many cases – but not with regard to women’s aliyot. Although there was a dispute among the Rishonim about what to do in a city with only male kohanim, (with the Maharam permitting women to receive aliyot in such a case and Rashba prohibiting women’s aliyot even in such a case) over the last five hundred years a deep and wide consensus has developed in halakha that Rashba is correct and Maharam is not to be followed – and women’s aliyot would then seem to be a violation of the halakha. To the best of this writer’s knowledge, no halakhic authority of the last five hundred years has disagreed with that consensus and thus halakhic practice is to generally prohibit women from receiving aliyot in all situations. Some readers will be troubled by this conclusion, as a close read of the three teshuvot of the Rashba does not even make mention of women receiving aliyot. How can he be so clearly against it, one might ask, if he does not discuss it? The answer is important to understand conceptually. Precisely because Rashba and those who follow his view make no mention of the possibility of women receiving aliyot, and instead formulate an answer to the question of what to do in a city of kohanim that presupposes that women cannot receive aliyot, one has no choice but to accept that–if the Rashba is correct as a matter of halakha–it is because women cannot receive aliyot. Women’s presence does not create stigma for kohanim because they are not olot. Maharam thinks women can be oleh, and therefore do create stigma. But, if there are kohanim and leviim and no yisraelim, or kohanim and yisraelim but no leviim, or leviim and yisraelim but no kohen, and no one group has the minimum number needed to get all the aliyot, I have not found for them any solution [and no Torah reading should occur]…But if there is seven from one group, then all of that group receives the aliyot [footnote removed]. According to the Levush (who clearly accepts the view of the Rashba on this matter), when there are five kohanim and five leviim, no Torah reading takes place, as the problem of stigma (pegam) cannot be fixed. Why not give women aliyot rather than cease reading Torah according to the Levush? The answer is – albeit unstated – that the Levush recognizes that according to the approach of the Rashba, women cannot receive aliyot. Others propose other solutions to this problem predicated on the view of the Rashba, but – no matter how complex the problem – no one suggests that women be olot (footnote removed). This rationale provides yet further proof to the proposition that women simply are not oleh according to the analysis of Rashba, in that if minors (who were permitted by Talmudic law to receive aliyot,) no longer may, this is even more so true for women (who were not permitted aliyot by Talmudic convention). Of course, Maharam disagrees with that analysis and directs that minors too may be oleh – but in this instance as well his view is not accepted. As a side note, this halakhic analysis also explains why significant Aharonim and Rishonim repeatedly discuss each of the cases where dignity of the congregation is advanced as a reason to prohibit an activity (such as publicly reading from a pasul or partial Torah (footnote removed), or rolling a Torah during services) (footnote removed). Many conclude that such conduct is permitted in some situations and that a congregation can waive its dignity in a time of need–but in the recorded history of halakha (other than those few who accept the view of Maharam with regard to a city of all kohanim) one finds essentially no one who permits, or who even ponders the possibility of permitting, women to receive aliyot. Rashba’s analysis prohibited it, and his view was accepted as normative (footnote removed). This point also clarifies why it would be halakhically incorrect to analogize from the other cases of communal dignity to this one, as many have (incorrectly) done. Those who permit women’s aliyot can only do so by arguing that the dispute between Rashba and Maharam was wrongly decided in favor of Rashba (footnote removed) and that kavod ha-tzibbur can be waived in this case. In Jewish law there are some matters that are in dispute for many generations with halakhic decisors taking diverse stands on the matters, and in such cases each and every Jewish law authority is entitled to resolve the matter in accordance with their own judgment and inclination – the Jewish law authority need not be able to “prove” their view to be absolutely correct, but can voice an opinion on an open dispute with less than certain proofs, and be relied on in practice. One is hard-pressed to be categorically wrong (or right) in such a case. Indeed, one could claim that such is exactly the job of a competent Jewish law authority (footnote removed). On the other hand, there are many disputes in halakha that were open for a period of time and then functionally closed, as a strong intellectual consensus developed as to which view was correct (and which was not). Of course, just because disputes among the Rishonim are apparently resolved by the consensus of the modern posekim does not make them permanently closed – a contemporary halakhic authority can reopen a debate among Rishonim that appears to be closed, and can even argue with Rishonim in such cases (footnote removed). However, such can only be done when the halakhic authority who is reopening the debate claims to have clear proof as to why the view that was heretofore thought to be wrong is actually correct (footnote removed). It may not be done merely based on a practical desire to prefer one view over another in a time of need (which a posek certainly may do when a dispute is still open). It is well established that one may not rely on a discarded view of a Rishon not cited in the Shulhan Arukh without demonstrable analytic proof that this heretofore discarded view is indeed correct. So too, it is much more complex and difficult to rely on a view that is not even cited in the Tur or Shulhan Arukh than it is to rely on a cited view in the primary codes. Women receiving aliyot is an example of such an intellectual movement in halakha. A group of Rishonim advanced a rationale that could plausibly permit women to receive aliyot in certain cases, and for a period of time this matter could fairly have been described as an open dispute within the sea of Torah, with authorities taking both sides of this issue. Gradually, over time, this dispute closed, as the unanimous intellectual weight of the posekim of the last six hundred years sided with Rashba, as the Yerushalmi is on his side. Consequently, one has not encountered a posek in the last five hundred years who actually accepts the view that women can receive aliyot as correct or even tenable, even in a case where all the congregation are kohanim. In the absence of an intellectually persuasive explanation for why the view of the Maharam is indeed correct (footnote removed), and the view of the Rashba wrong, it would be outside of the framework of normative halakha today to rely on the view of the Maharam absent a persuasive explanation of why the view of the Rashba, which is adopted by nearly all subsequent halakhic authorities, is not persuasive and the view of Maharam is plausible (footnote removed). One who reads the literature written by those who favor women receiving aliyot (and even the literature by many of those opposed to this practice) finds that it seems to completely miss this issue. Instead, the arguments seems to focus on such secondary questions as whether dignity to the congregation can change over time, or how minhag can change, or what is the relationship between human dignity and congregational dignity, and many other secondary issues. In fact, no matter how one resolves those secondary issues, it seems to me that the intellectual predicate of the view of the Rashba – that women cannot receive aliyot due to an explicit rabbinic decree – has been adopted as the normative halakha in this matter, and all the other arguments are moot.